Crown Pension Actuaries was founded in 2014 by pension actuary Matthew Solberg. In an industry where highly technical language is common, Crown Pension Actuaries strives for straightforward yet detailed communication, backed by proficient actuarial knowledge. Efficiency, logic, organization, and timeliness are underlying attributes that help shape the foundation of the company. Crown Pension Actuaries aims for excellent service as the end result. 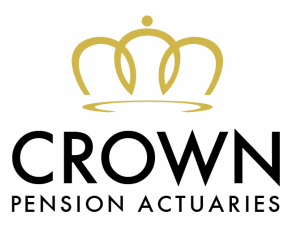 Crown Pension Actuaries is an actuarial consulting company for cash balance plans, traditional defined benefit plans, and other types of pension plans. The company designs plans, establishes plan documents, performs actuarial calculations, and provides consulting to clients regarding a wide range of issues. A client could range from a sole proprietor to a large corporation to a church. Crown Pension Actuaries also works with 401(k) third party administration firms that want to provide actuarial services but do not employ an in-house actuary. For detailed information on the services available, please see the Services page of this website. Despite the highly technical nature of pension plans, Crown Pension Actuaries takes pride in translating federal pension regulations and technical actuarial terms from gobbledygook into plain English. The goal is to provide the details necessary for clients to understand their plans and make informed decisions. Crown Pension Actuaries strives to be efficient, logical, organized, and timely, both internally and externally. To ensure accuracy in actuarial work, calculations are performed using standard actuarial software and compared to in-house calculations. Crown Pension Actuaries also relies on outside actuaries, lawyers, accountants, and 401(k) third party administration firms for assistance when relevant, to ensure expertise on the issue at hand.